The World Health Organisation (WHO) is in talks with the Chinese government following a new bird flu strain which has struck at least 21 people. They are discussing whether to send a team from the global health body to help investigate the fresh outbreak. International experts are likely to include epidemiological, laboratory and communications experts, but it remains unclear if and when such a group would arrive. China announced three more cases of human infection of the H7N9 bird flu virus on Sunday, bringing the total number of cases to 21 - all in the east of the country. 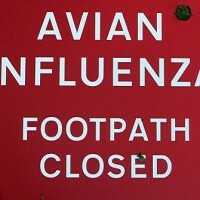 The H7N9 virus was previously known only to infect birds. It is not known why the virus is infecting humans now and officials are still investigating how people are exposed to it. Unexpected virus outbreaks can hit at any time without notice, making it even more prudent for holidaymakers to book trustworthy medical travel insurance before their trip. Michael O'Leary, head of the WHO office in China, said that the body has confidence in China's bid to track and control the H7N9 outbreak. Mr O'Leary said that raised interest in the virus worldwide had compelled the WHO to consider sending a team.